Ask anyone working in the Canadian energy industry about misinformation that exists in the public domain and on social media and you're sure to get an impassioned response. 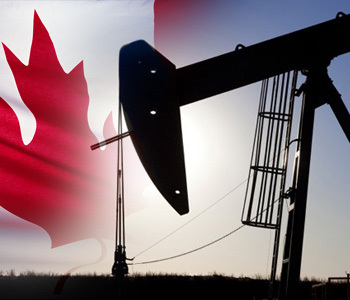 It's difficult to get away from the fact that energy has become the central political issue in Canada with rapidly escalating provincial tensions. Join Alexandria Shake and Aaron Foyer, for an interactive discussion on Canadian energy, emissions, and policy. Mining, oil, natural gas, hydroelectric, wind, and solar are all functions of geography and geology. How provinces develop those resources are often based on policy and project economics. The investment community, government, project proponents, and project opponents have developed their own terminology to describe a path forward for our energy sector – but can we speak the same language for better discourse in the future? Aaron Foyer: Aaron has dual degrees in geology and geophysics and an MBA from HEC Paris, one of the top global business schools. He has experience working as a geologist for 5 years with Repsol S.A., M&A experience with a top investment bank and project finance for renewable energy projects. He was elected president of both the Energy Club at HEC Paris and Undergraduate Geoscience Student Group in his undergrad. Alexandria Shrake: Alex is a fellow with the Public Policy Forum, a policy think tank tasked with recommendations on Canada’s energy future. By day, Alex is an Analyst with Chevron Canada Resources on the Strategy and Planning Team. Alex has a background in geophysics and has spent the past 5 years working with students across the country with the CSEG. She is passionate about community outreach and recently won the Young Women in Energy Award, 2018.